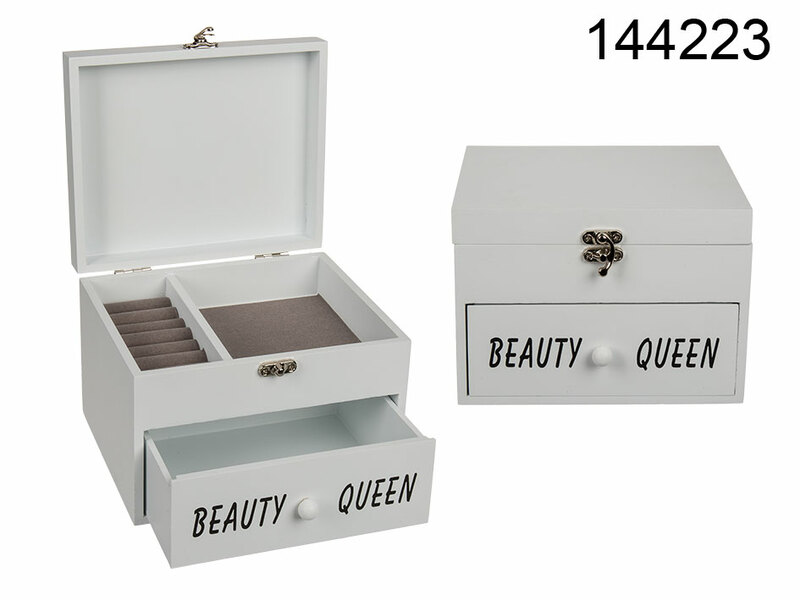 White wooden box with ring rolls and storage compartments on the top, and a drawer on the bottom. Helps you organize space and keep small objects and accessories in one place. Stylish and useful room decoration. Casual promotional item.